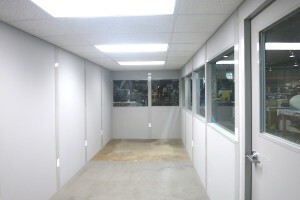 Aero Tec Labs was founded in 1970 as a design and testing facility for flexible composite materials. Their success in the fuel cell bladders industry is particularly remarkable as they are now the sole supplier for every formula one racing team, the premier racing series on the planet. 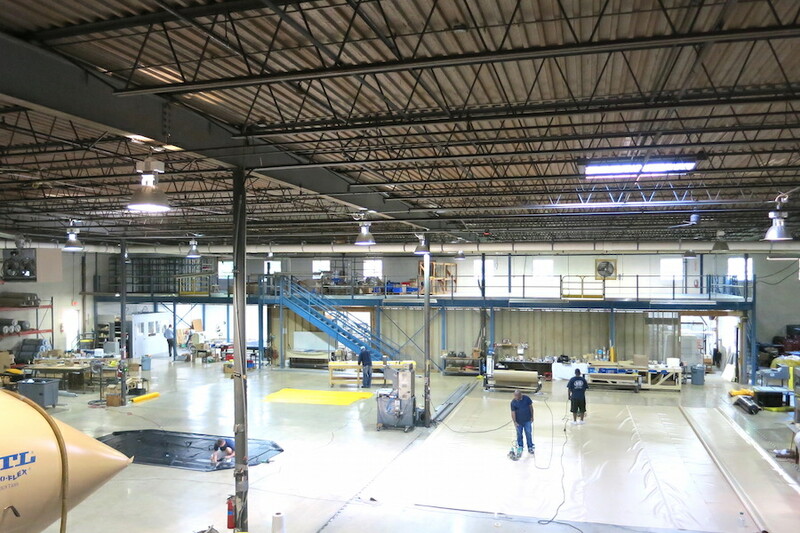 This unparalleled success led Aero Tec to embark upon a major expansion project for their facility in Ramsey, New Jersey. 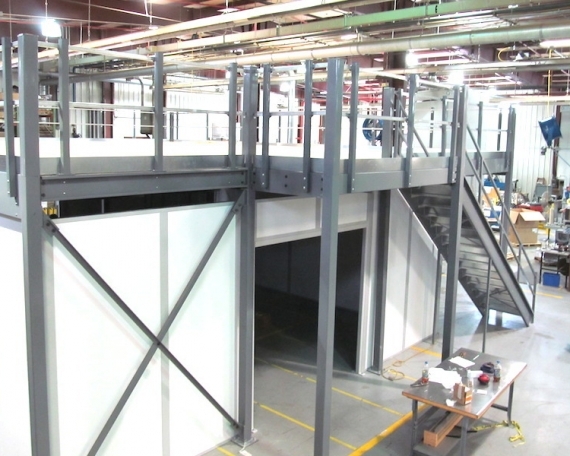 Aero Tec contacted Grace Material Handling regarding this expansion project looking for a way to boost its warehouse capabilities and overall space without adding on to their building. 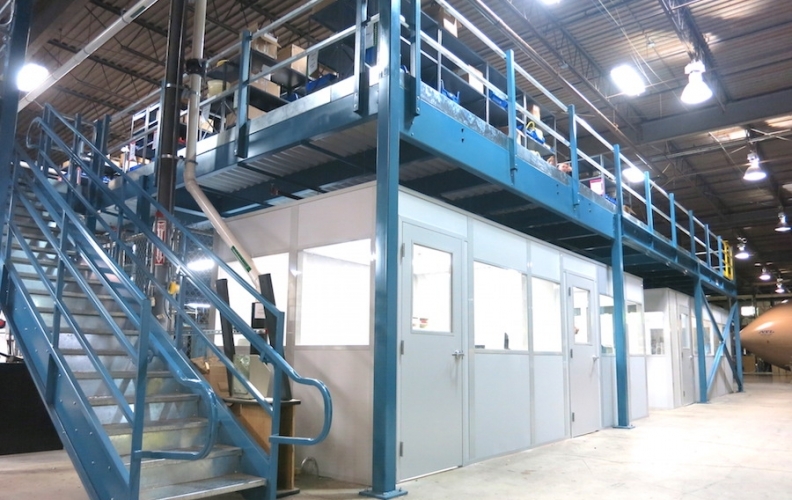 Aero Tec wanted a turnkey solution for their expansion project and asked Grace Material Handling to act as their GC for the entire project. 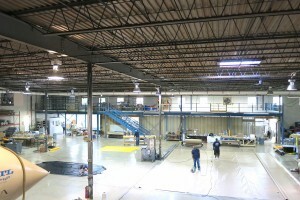 This would require sprinkler and electric work in addition to our mezzanine and office services. Working with various experienced industry professionals, Grace Material Handling agreed to handle the GC duties for the entire project. We arranged for technicians from all of the involved companies to make site visits to determine the scope of the work required. 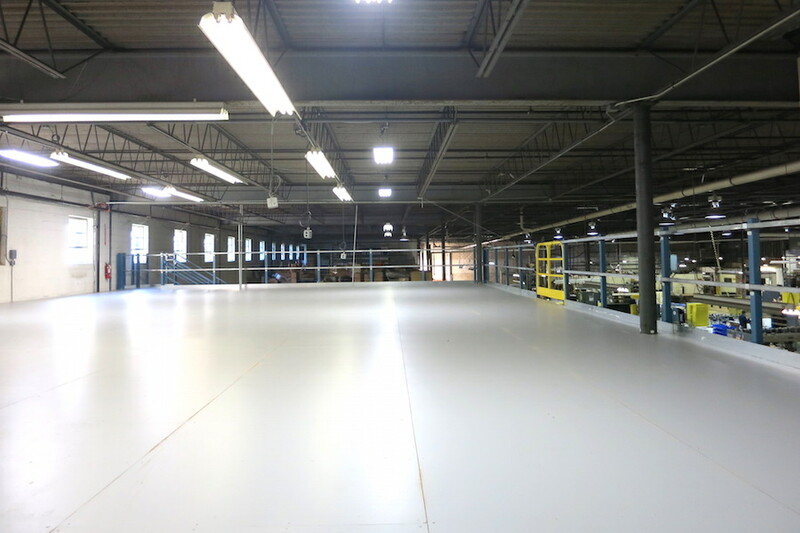 Based on the information gathered from these visits we were able to present Aero Tec with a proposal for the complete project and formulate a tentative schedule for its completion. In addition, due to concerns with the floor, we had a professional engineer visit the site and conducted a floor test to ensure that the slab was sufficient to hold the proposed structures. Using information from our visits, we provided designs for two mezzanines and four modular offices to fulfill all of Aero Tech’s space needs. 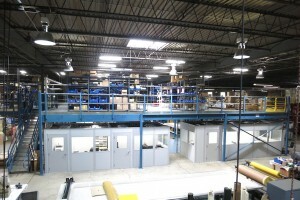 The first mezzanine was a 3,691 square foot platform going over the parts storage section. 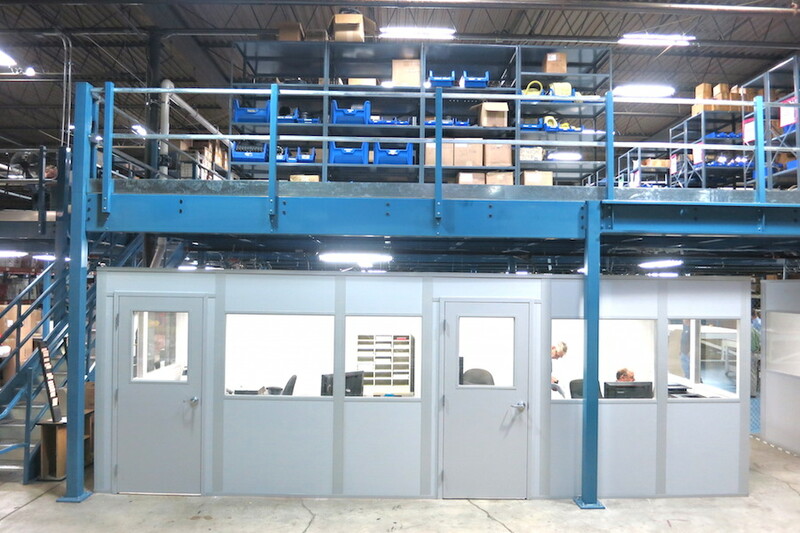 The mezzanine was designed to have a 10’-3” clear height to ensure that Aero Tec’s parts storage shelving all fit comfortably underneath. We provided two IBC regulation stairs for access to the platform and had its entire perimeter enclosed with handrail and kickplate. 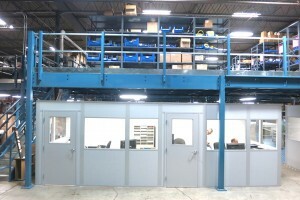 We also utilized two 6’ wide double swing gates to help facilitate the movement of larger materials to and from the platform. 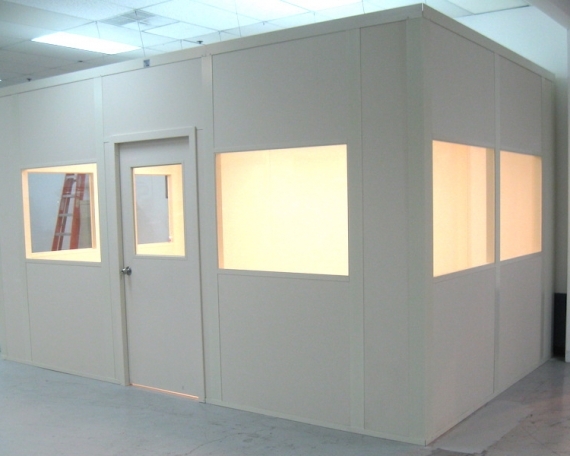 We used ½” Resindek for the flooring and incorporated two cutouts around major obstructions to gain them the maximum possible space with this structure. 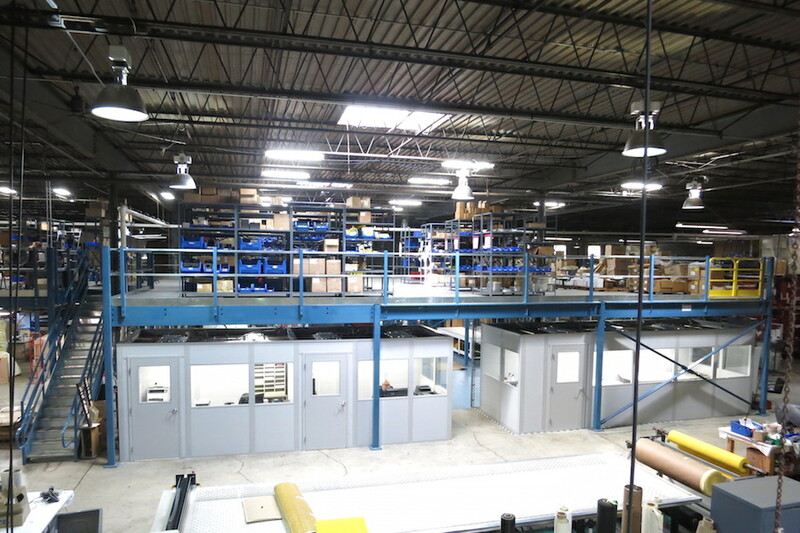 The second mezzanine, above their machine shop, stretched over 4,200 square feet gaining them a lot of new premium work and storage space. The mezzanine was positioned flush against the building’s walls on two sides to gain them the most out of the available space. 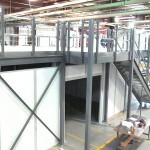 The other two sides were closed off with handrail and kickplate and also included two 6’ wide double swing gates for moving larger material to and from the structure. 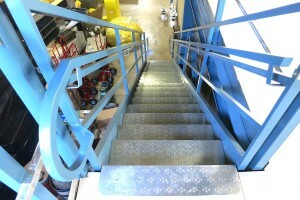 This platform likewise featured two IBC staircases to create a smooth flow of traffic. 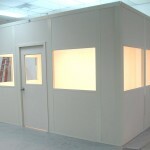 During the entire process, we worked closely with our electrician and plumber to coordinate their work. 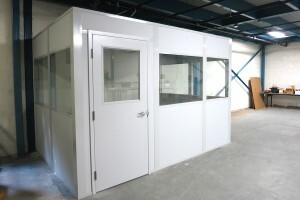 We kept Aero Tec informed of everything that when on with the project as it developed and worked with them to ensure the minimum disruption to their work and the time frame for completion of the overall project. Our emphasis on teamwork and communication allowed us to overcome several hurdles along the way and still the complete Aero Tec Laboratories’ expansion project in a timely manner with minimum disruptions to their production.